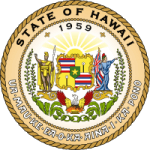 Payment of child support is mandatory if you are a noncustodial parent in Hawaii. You can find out how to go about the whole process with the online platform. if you are a registered user, it is easy to complete payments and give your child the needed financial support. Step 2: Enter your PIN and access code and then submit. Step 2: Enter your PIN and submit. For those who have successfully enrolled for the online child support services, managing your account is easy. You can check the status of your account and access resources including the guidelines that govern how child support is enforced by the law. All this will give you a head start to being a responsible parent.